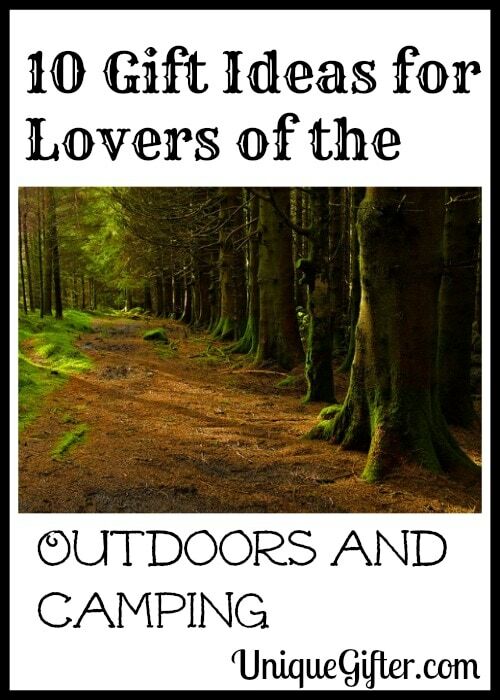 Here is a collection of gift ideas for the outdoors and camping, inspired by things that I have, or things that I want! I would like to believe that I’m more of a lover of the outdoors than I actually am, but I try not to let a shortage of gear get in my way! I have been thinking a lot about camping gift ideas lately, too, as my brother and sister in law recently finished school and are trying to amass all of the camping things that they need. 1. Steripen – This relatively new device is a major improvement on having to hand-pump water through a filter, or carry a large bag of pre-treated water! You can even pop it in a day-hike bag. 2. Backpacker’s Pantry – Just-add-water dehydrated meals are great to have in your vehicle, for hunting, for camping or even for day hikes. They are a tad pricey, so give them to the backpacker in your life. 3. Light My Fire Swedish FireSteel 2.0 – Soggy matches? No problem! Pick up a fire starter and be able to get your camp stove going, rain or shine. 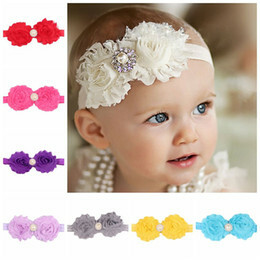 I recommend a brightly coloured one, so that it’s easier to see in the dark or if you drop it. 4. 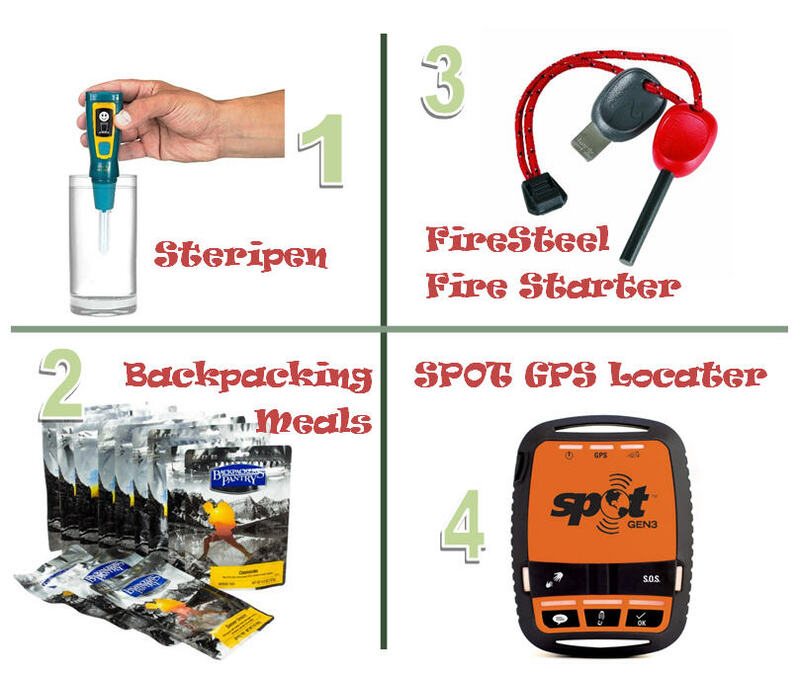 Spot Satellite GPS Messenger – This is a fantastic, lifesaving device. A Spot can send three types of messages, if you are delayed you can send an “I’m okay,” if you are in trouble, but not serious trouble, you can send an “I need help,” and if you are in serious trouble, you can press “SOS” and the call centre will contact the appropriate authorities to dispatch Search and Rescue, etc, based on your coordinates. Newer ones have several more tracking features and custom message features. 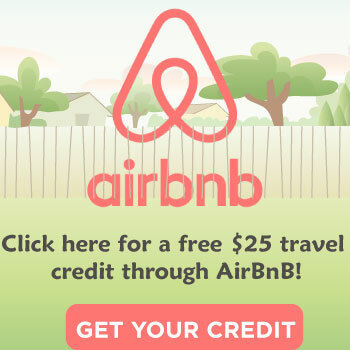 Note: Spots require an annual subscription fee. 5. Camelbak Cleaning Kit – Camelbaks can end up getting pretty funky, especially if you use them for Gatorade or electrolyte drinks! 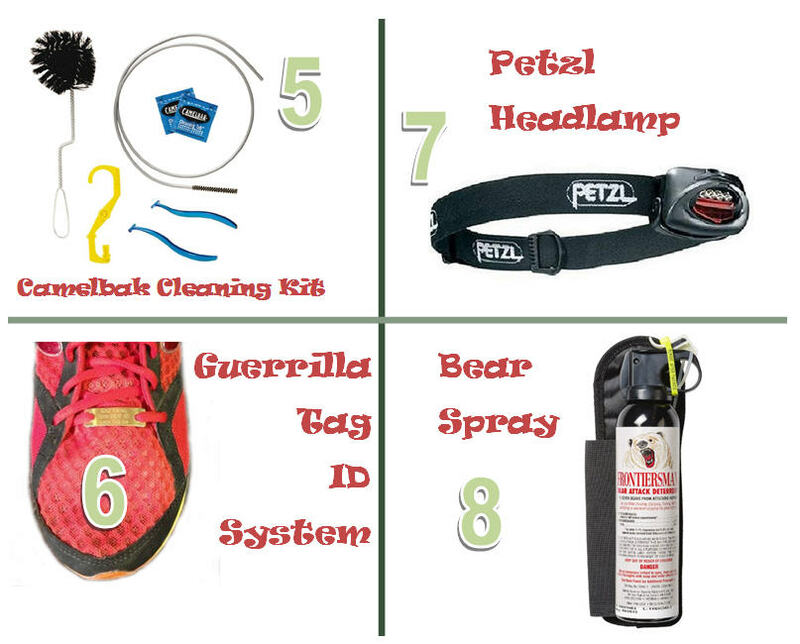 Pick up one of these handy kits as a gift for the outdoors lover in your life. 6. Guerrilla Tag Adventurer ID System – These nifty tags provide critical information, including contact information, allergies, and blood type, should something go awry while your gift recipient is out adventuring. 7. Petzl Headlamp – A good headlamp, that doesn’t shine in your friend’s eyes, can be a very illuminating gift. 8. Bear Spray – Bear spray expires and costs a decent amount of money (usually $30-40), so restocking is very appreciated! 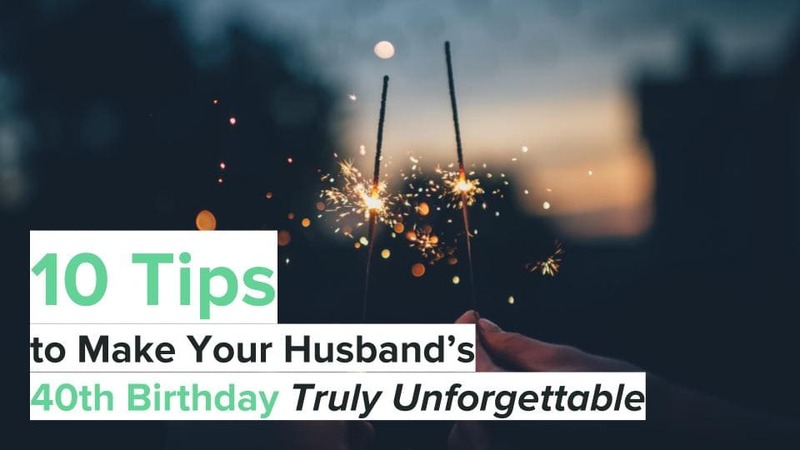 It is also a way for your gift recipient to practice using it, by using a previous year’s canister. 9. 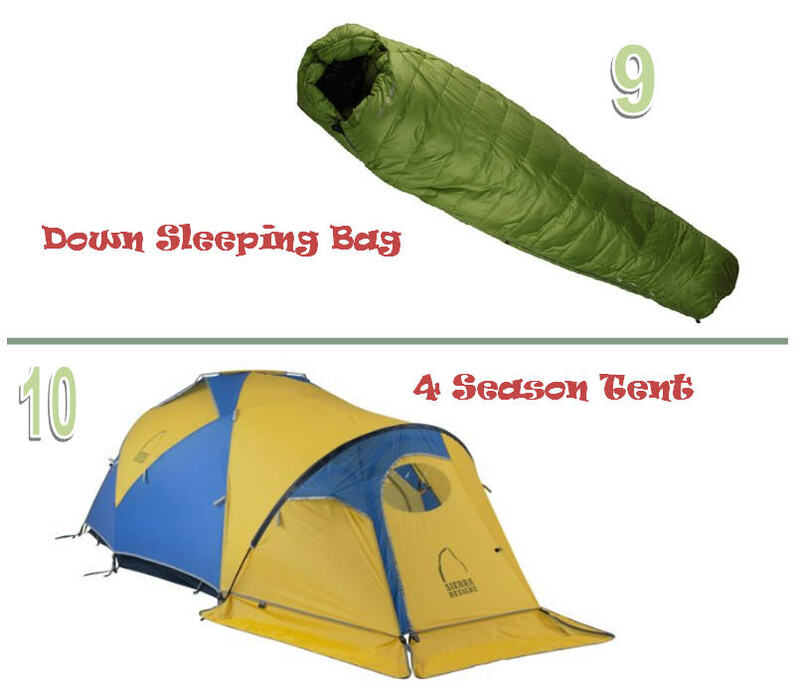 Down Sleeping Bag – Have you ever been cold at night while camping? I have. Not fun. A nice, warm, sleeping bag is a luxurious camping gift idea. 10. Sierra Designs Mountain Meteor 2-Person Tent – Lightweight, high quality, four season tents come with a price tag, but also mean that an early season snowfall won’t cause suffocation and that you will stay nice and dry on your adventures. 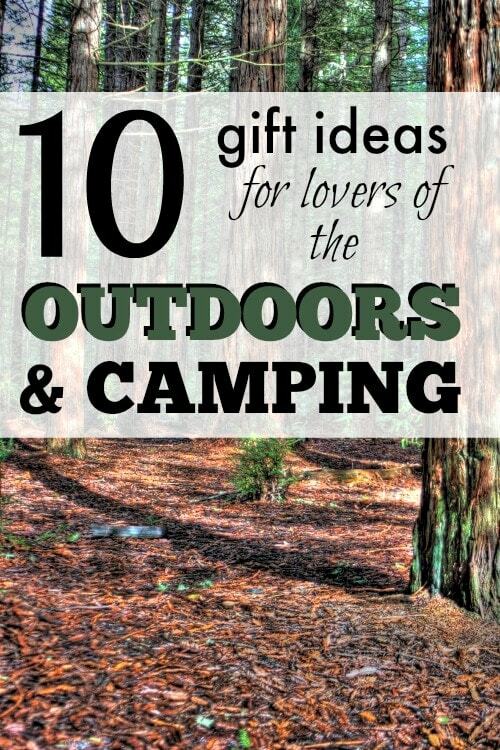 Do you have a favourite list of gift ideas for the outdoors and camping? I got my fiance a GPS one time because he LOVES camping and fishing and I didn't want him to get lost looking for places to do so. He was thrilled. 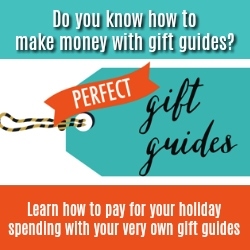 Love the firestarter gift idea. How useful is that? My hubby would love it! Shhh, my brother is getting one for Christmas!